This is another one of Todd Wilbur’s Copycat recipes from one of his Top Secret Recipes books. I have never had the original at the Cheesecake Factory, but this cake is delicious. 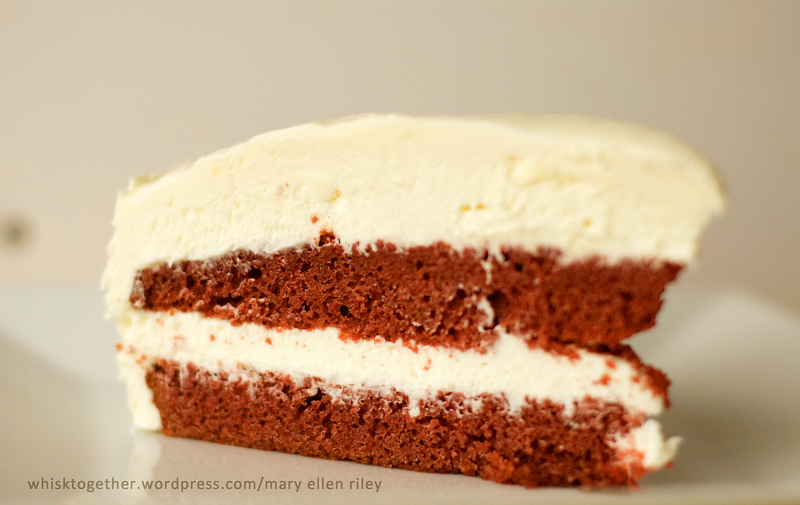 The chocolate is subtle in the red velvet and the cheesecake flavor really comes through in the layers as well as the icing. My one complaint is that the cake portion dried out on the edges very quickly. Being in between the cheesecake layers, this didn’t really matter. As with most cakes, wrapping it in plastic wrap and putting it in the freezer or fridge is one of the best ways to keep the cake moist. I ran out of plastic wrap. 1. Preheat oven to 350 degrees. Prepare a 9″ (mine measures 9.5″ across) springform pan with parchment paper, or cooking spray and flour, or my favorite and easiest method: baker’s joy spray. 2. 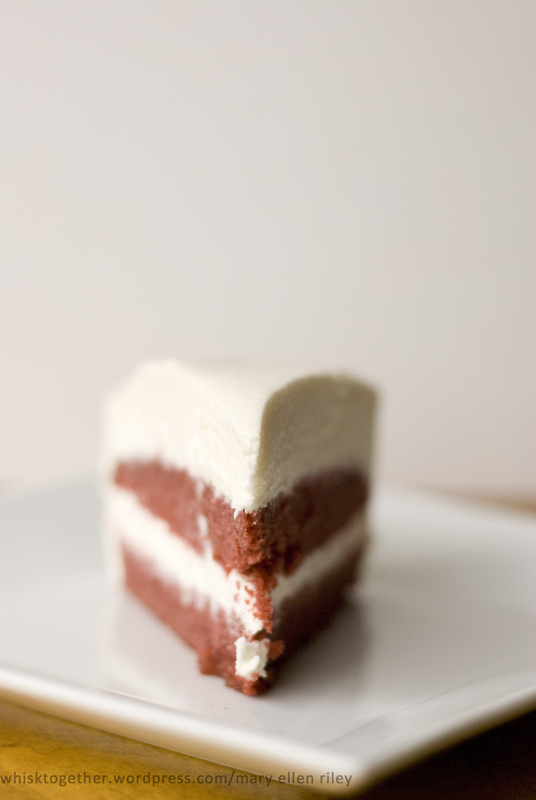 To make the red velvet cake, cream the butter and sugar together for 1 minute on medium speed. Incorporate the eggs one at a time, oil, and vanilla. Mix in the buttermilk and red food coloring. At this point the mixture might look curdled and disgusting – but that is okay. It will turn out just fine. 3. Sift together the dry ingredients: cake flour, cocoa powder, baking soda and salt. Mix that into the batter on low and beat 30 seconds. 4. Bake for 35-40 minutes or until passes the toothpick test. Cool in pan for 10 minutes, then remove and continue to cool on wire rack. When it is cool enough to handle, you can wrap it up in plastic wrap to help keep it moist and put it in the fridge or freezer. 5. After completely cool, use a bread knife to cut the dome off of the top. Mine was very small. Now slice the cake horizontally in half, so that you have two cakes. 6. Clean off the springform pan, then place one cake inside. Cover the other cake half and put both in the freezer for 2 hours or overnight. 7. 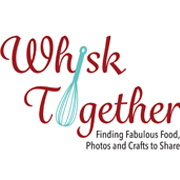 Make the cheesecake filling: Whip the heavy cream on high with a whisk attachment until stiff peaks form. Switch to the paddle attachment and beat in the cream cheese, sugar, vanilla and cream of tartar on medium speed. 8. Pour half of the cheesecake filling on top of the springform pan cake once it is completely frozen. Place the other half of the cake on top of the filling. Pour the rest of the filling on top. Cover the top with saran wrap or foil and place in the freezer. Freeze 2 hours or overnight. 9. Make the frosting: beat the cream cheese and butter together until fluffy. Slowly add the powdered sugar a little at a time on low speed. Add remaining ingredients and beat until fluffy. 10. 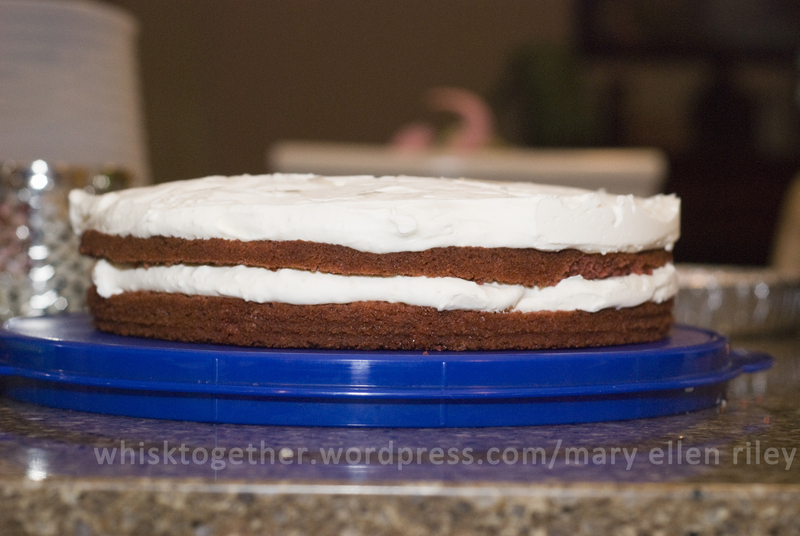 As with any cake, it is much easier and less messy to frost a frozen cake. Remove the cake from the pan and frost all of the sides and top. Add your white chocolate curls to the sides at this point if you like. Keep refrigerated. Oh yum – I want to try this one too!!! It was definitely worth the work! And a cake you don’t need to frost and make sure is perfectly smooth? I’ll always sign up for that. I forgot I also made Todd Wilbur’s salsa verde (yum! ), Applebee’s Bourbon Street Steak (awesome), Applebee’s Chicken Fajita Wrap (yum, but lots of work) and Applebee’s White Chocolate Blondie. Everyone LOVES the blondie with ice cream and syrup on top.